Digital television -an innovative approach to television broadcasting- has many benefits available to countries that adopt it. This piece seeks to share insights into four major benefits serving viewers, broadcasters, producers and advertisers respectively. IMPROVED VIDEO QUALITY AND CLARITY: There is no doubt that digital TV comes along with improved picture and video quality. Signals are more compact than the analogue system and allows multiple channels to occupy the same airspace than the single analogue channel. Digital television will provide viewers with the quality of sound, images and videos needed to enjoy quality television experience. 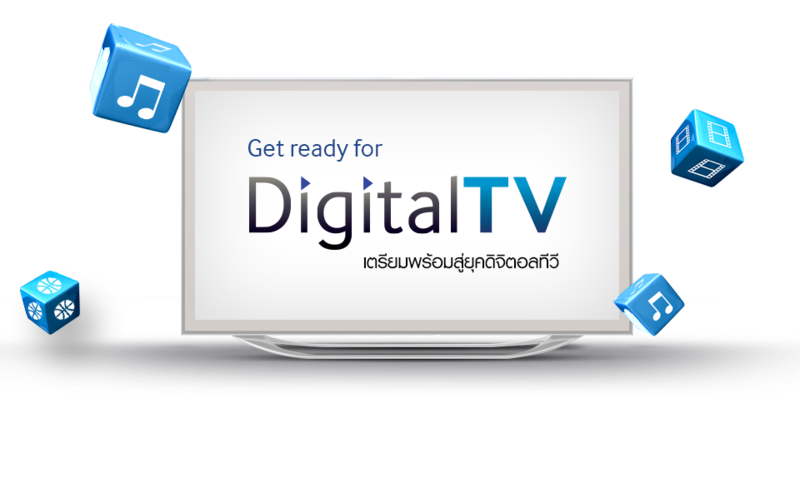 With digital TV, one does not need to re-adjust an antenna as usually directed by local TV technicians as first stage in television signal troubleshooting. One does not have to direct an antenna towards the transmission site of a particular station to get clear signals at the expense of other stations. A viewer has to simply turn on a TV with an antenna and enjoy quality TV with crystal clear pictures and sound. LESS FOCUS ON TRANSMISSION INFRASTRUCTURE: Television stations in Ghana compete not only on content but on infrastructure; an opposite of industry trends in other parts of the world where competition is strictly on content because infrastructure is standard for all players. Ghana’s era of television stations with tag lines such as “nationwide availability, total coverage etc. will be over with digitization. Statistics at Brekuso- Ghana’s popular TV transmission site for most stations in Accra show that about 7 television transmission sites operate within 2km apart from each other. All these stations have 24/7 security, standby power generators, water storage, mast, technicians, transmission halls and other important assets. Couldn’t a strategic and cost saving approach such as co-locating and sharing the running cost of the sites be adopted to ensure that the little revenue made from advertising due to the clustered nature of the industry is invested in content and staff remuneration rather than transmission? In South Africa, television stations have no business with transmission because a reliable and professional firm maintains and manages their sites on contract basis. Ahwerase, a town in Ghana’s Eastern region noted for radio transmission has a similar case like that of Brekuso. There are about 10 radio operating sites within 1km radius apart from each other. Some local broadcasters are adamant to co-locate because of fear of sabotage by competitors. But I believe with the right systems and processes, such fears can be eliminated and co-location managed professionally by independent service providers with expected deliverables. CONTENT DEVELOPMENT: With an equal playing field, television owners have no option than to compete on content. 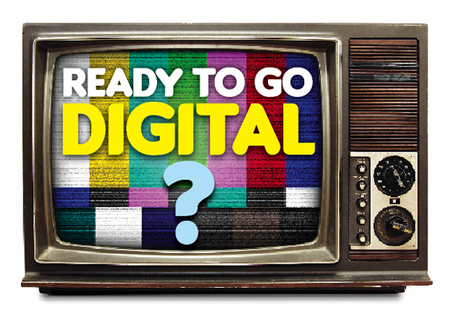 Digitization attracts broadcasting regulations such as prioritizing local content over foreign content and ensuring that prime time is dedicated to local content. This will improve the state and quality of Ghana’s production industry. Production divisions of television stations, independent production firms and other sections of the production chain will benefit from this. Digitization guarantees the creation of jobs in the production chain ranging from producers, directors, actors, cameramen, props, location drivers, graphics and effects, editors, sales and editing. It also guarantees massive development of our local movie and production industry. ‘Kumawood’, ‘Ghallywood’ and other private producers are at an advantage because there will be reliance on what they produce. Ghana’s National Film and Television Institute graduates and graduates from other production training institutions will be put to good use. ACCESS TO CREDIBLE TV VIEWERSHIP DATA: Strategic advertising and marketing decisions on television should be made on credible viewership data. Even though professional media research is gradually gaining grounds in Ghana, marketing managers of some brands make decisions on guts and personal orientation with no accurate data supporting such decisions. In the past, media owners have accused media research firms of skewing data and results in favour of the highest bidder. Though such claims may not be factual, digitization affords the industry a cheaper and more reliable way of knowing viewership ratings of stations across specific times. It also affords credible data on television viewership necessary for national policy and decision making. If managed properly, television license collection can be enhanced and improved with higher collection rates. Telemetry -an automated communications process by which measurements and other data are collected- can be used to provide viewership ratings in real time. Similar to the publication of subscriber base in Ghana’s telecommunications industry, publishing viewership of television stations from an authoritative source such as a national platform would improve television competition among industry players and serve as a trusted source of data. It is unfortunate that time-lines set by the Government of Ghana to migrate all television stations unto the digital platform were missed last year. Discomfort and hesitation accompanies change efforts but we must embrace this innovative change in our broadcasting industry to benefit from its numerous advantages. The Ministry of Communications, National Communications Authority and other State institutions mandated to ensure television digitization is actualized must commit to this good and critical cause.